Jack Sparrow, a Wagging Hearts rescued, abused, soul who lost his fight on 4-3-14. His impact lives on to help the ones still living in the dark. Meet Jack Sparrow, a Wagging Hearts rescue and one of the most gentle souls we’ve ever had the honor of meeting. 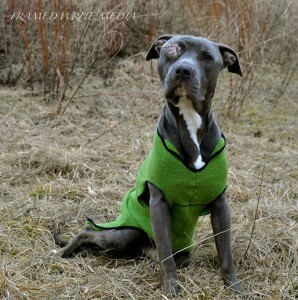 He was found by Waukegan Police Animal Control as a stray with a horrific eye injury which on first examination appeared to be “just” an infection. But after a day or so on antibiotics it appeared that the eye wasn’t getting better. In steps Wagging Hearts rescue to take Jack Sparrow in and rush him to our vet partner. An x-ray found that the bone behind the eye socket was BROKEN most likely due to blunt force trauma. When it broke it severed the optic nerve and Jack’s eye was dying. 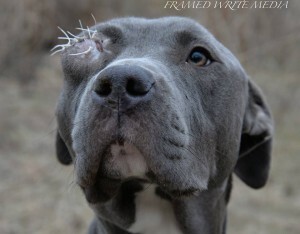 So Jack Sparrow was rushed into surgery where the vet removed the eye and repaired the area. We believe this horrific injury was likely from something like a baseball bat or other blunt object. Jack Sparrow went through so much and in the end found himself without an eye, paralyzed from a stroke that stemmed from an infection that raged through his weakened body and 3 forms of aggressive cancer. 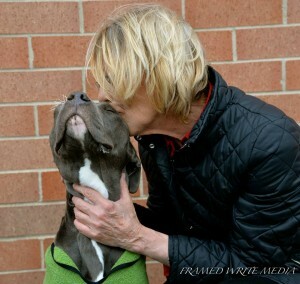 Wagging Hearts dedicated itself to providing Jack Sparrow with love, care and support for as long as our gentle boy needed us. 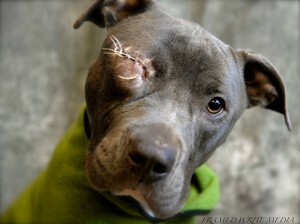 Unfortunately Jack Sparrow began to decline rapidly once out of the hospital and living in his loving foster home. Jack lost his fight on April 3, 2014 when we realized the pain was too great and his quality of life had faded before our very eyes. We often said, we will concentrate on the quality of life and not the quantity. We are dedicated to one gentle soul whose life touched so many. We might have lost Jack too early but his impact continues to grow. Consider joining our Village of supporters who will not stop fighting for all those left without help. Left without a voice. Jack Sparrow passed away in our loving arms wrapped tightly around this gentle soul with a promise made to never stop fighting. 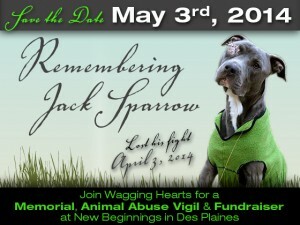 To continue Jack’s journey to put a face to animal abuse. Thank you for standing by Jack as he fought so diligently and felt the positive effects of our love and attention. Each day was precious and in the end he was not alone as he was when he found. Jack sends his love to all of his supporter’s from the Rainbow Bridge. Keep up the fight, give your voice to the voiceless and join us as we stand vigil in the name of Jack Sparrow against animal abuse where ever it may be found. Sweet Jack Sparrow, our valiant and gentle boy has gone home to the rainbow bridge carried in the arms of his angels. Pain will never find him again and now his body is once again whole. Running free is all that is left while he romps and plays amongst those waiting to greet him as he sheds the damage of the life he led on Earth. Quality over quantity is what we promised our sweet Jack and during the night he let us know it was time. His body could do no more and his soul needed to be set free. Wipe your tears as he left knowing deep and dedicated love. He smiled as the sun touched his body, he wiggled his body in delight over our cuddles and love. He slept on the softest blankets wrapped in the arms of his guardian angels. He was sang to with tenderness and met the kindest of people. The support he witnessed transformed a once lost spirit into a Phoenix ready to take flight to his next journey. Beyond our reach yet always in our hearts. Never too far as to forget the lasting impact of his gentle ways. Please pay tribute to Jack Sparrow by always seeing what many never see…animal abuse is prevalent in many corners of our own personal worlds. Please become a voice, please choose to take a stand in honor of Jack. He may not of been here long enough for us but let his ripples spread outward. Let his message be clear…if you can stop one more sweet soul from traveling along the same road as Jack Sparrow then his life was not without a deeper meaning. Rest in deep peace sweet one and may you always look down from above with that smile of yours. May you always be proud of our continued tribute to you through those we save from the same abusive fate you faced. We love you so Jack Sparrow and know you will be happier among the angels watching us and all the work we have yet to do in your honor. Mourn his passing then wipe your tears Jack Sparrow Support Community…we have miles to go before we are done and much work to do in honor of the one we just lost. Jack Sparrow Support Facebook page gathers a reach of almost 80,000 people in several countries like Germany, Mexico, Thailand, Canada, England, United Kingdom, Africa and beyond. Jack Sparrow won Modern Dog magazine photo contest for dog of the week of April 7th, 2014 with 6,125 votes! Fulfilling an item on his bucket list. A dedicated supporter of Jack Sparrow commissioned a beautiful portrait by The Artwork of Brittany Farina. Order your very own print of our Capt’n Jack and a large portion of the proceeds will be donated back to support Jack’s mission to continue helping those still feeling the impact of their abusers.